Pinsent Masons LLP, an international law firm, were working on a high-value, high-profile case relating to a top UK sport. 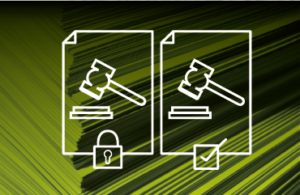 Working to a fixed-court deadline, Anexsys were asked to produce four sets of critical trial bundles in under 24 hours. In addition to producing the hard copy bundles, Pinsent Masons LLP also wanted a fully searchable eBible – an indexed electronic document filing system. Create a fully searchable eBible. Comprising of a combination of witness statements, exhibits and correspondence, each trial bundle adhered to an index provided by the law firm; and contained 304 identically paginated documents. 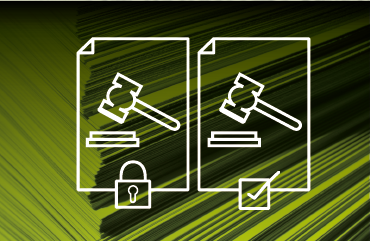 As the case was on-going, the Anexsys team printed and inserted additional information, as and when the index was updated. Combining state-of-the-art digital photocopying and printing equipment, specifically designed to complete high-demand projects, the Anexsys team used their extensive experience to produce all four bundles ahead of time. They implemented real-time changes when needed and hand-turned all 15,267 pages to ensure their complete accuracy. To create a fully searchable eBible, Anexsys’ proprietary DocumentFolio software was used. This made the documents easier to navigate, filter and read, which saved time, storage space and money. The eBible also made distributing the documents much simpler and removed the need to print further hard copies for future use as well as opening up limited office space for storage. The trial bundles were delivered ahead of time. All four bundles were identical and accurately paginated. Once each document was printed and thoroughly quality checked, the team personally delivered the bundles back to Pinsent Masons LLP using their secure, in-house courier service – ensuring a completely trustworthy and accurate, quality service. For more, please visit our trial bundle printing page.